There’s not much that’s more relaxing than taking a hot bath—especially one accompanied by a lovely, fragrant bath salt or bath bomb. 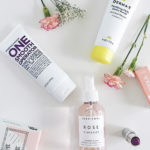 I never thought I would make my own bath products, but after reading the ingredient lists in products I owned, I really wanted to give it a go. Turns out, it’s actually completely approachable. Especially bath salts. 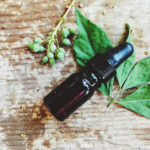 I started purchasing high-quality carrier oils, essential oils, salts, and various aromatherapy products. And pretty soon I became obsessed with making DIY beard oil for my husband, bath salts, bath bombs, sugar scrubs, calming lavender sprays, body butter, etc. Making your own DIY bath products is great because you know exactly what’s in them. It’s also a wonderful gifting idea, especially during the holidays when you can create a seasonal, festive scent. Autumn always reminds me of Chai tea. My favorite thing as of late is getting cozy on my front porch, with my oversized sweatshirt and hot cup of Chai. 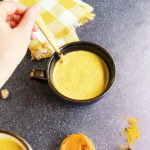 The flavors and spices of Chai (ginger, anise, cinnamon, cloves, cardamom) just echo this time of the year. It’s comforting, cozy, and oh-so-fragrant. 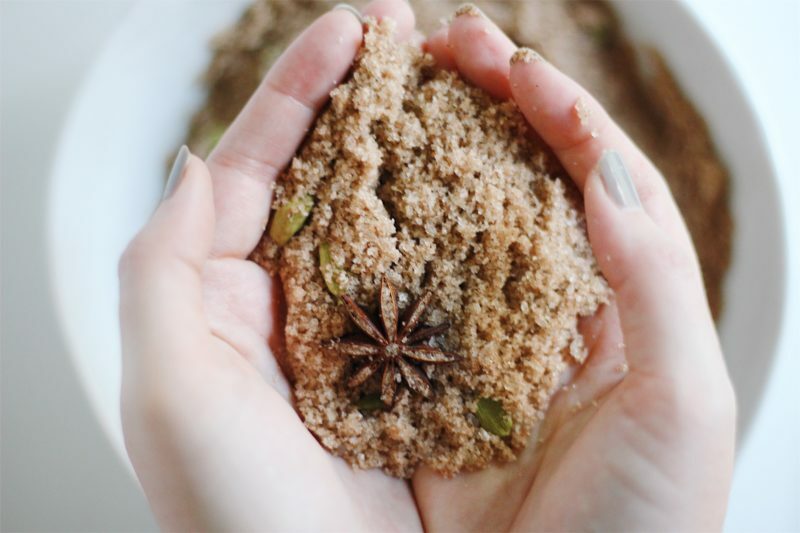 So why not create it into a soothing, seasonal bathtime addition? Hence, Spiced Chai Bath Salts. 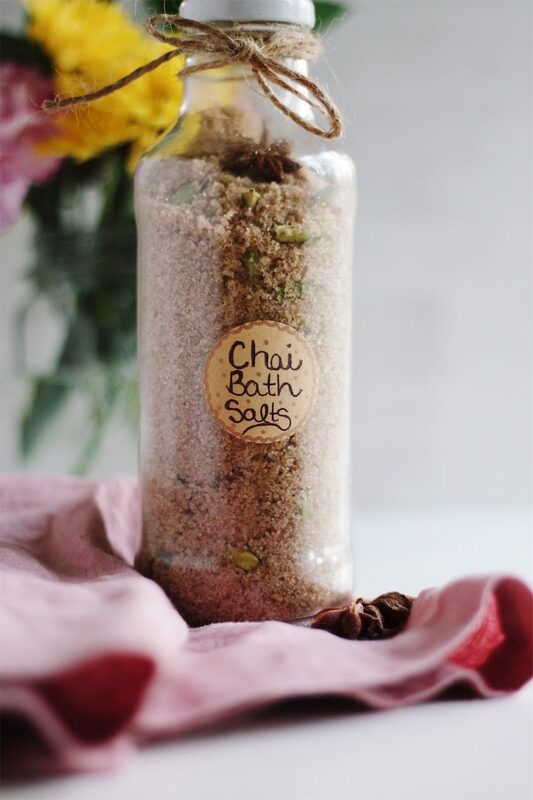 This Chai Bath Salt is made with ingredients that not only smell amazing, but have plenty of benefits for your skin, too. Epsom salt softens skin and eases inflammation. 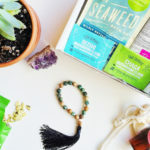 Himalayan pink salt has detoxifying properties, balances skin pH, soothes and infuses the skin with minerals, hydrates, and relieves soreness due to the salt’s magnesium content. Baking soda detoxes, exfoliates, and softens skin. Almond oil relieves itchiness, redness, and acne. Antioxidant-rich orange oil alleviates inflammation, helps clogged pores, exhibits anti-aging properties, and improves blood flow. Ginger evens skin tone, improves elasticity, and helps against aging due to its high dose of powerful antioxidants. Vitamin-rich cloves cure acne and blemishes and is great for regulating oily skin. 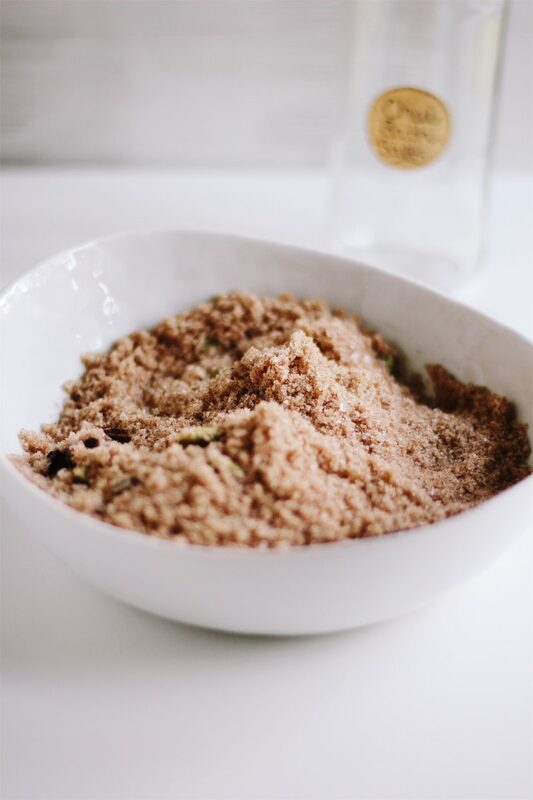 Cardamom, rich in vitamin C and antioxidants, is wonderful at detoxifying and improving skin circulation. Anise is a powerful antiseptic for the skin, and cinnamon is excellent for soothing dry skin. During this time of the year, I’m constantly stocking up on jars and bottles from SKS Bottle & Packaging, Inc. As you can see from the image above, I store these Chai Bath Salts in the SKS Clear Glass Beverage Bottles with White Metal Plastisol Lined Lug Caps. 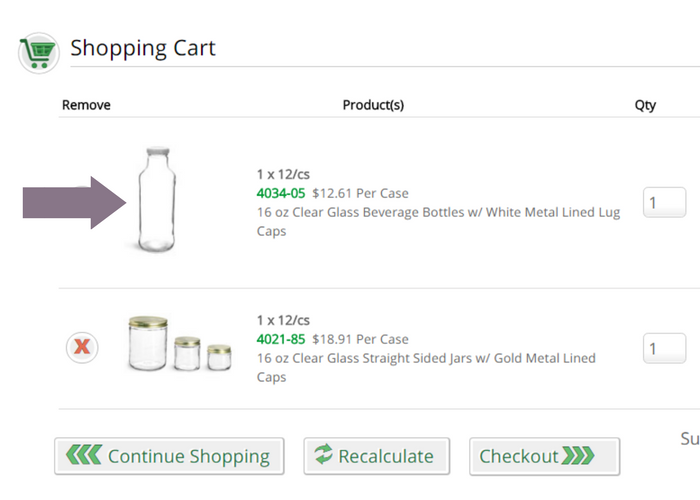 I love the amount of variety they offer (6,000 containers and closures offered online!). I also love that most SKS glass jars are made right here in the US, and that, of course, they are all 100% recyclable. Consider placing this year’s holiday gifts in a recyclable, reusable container. 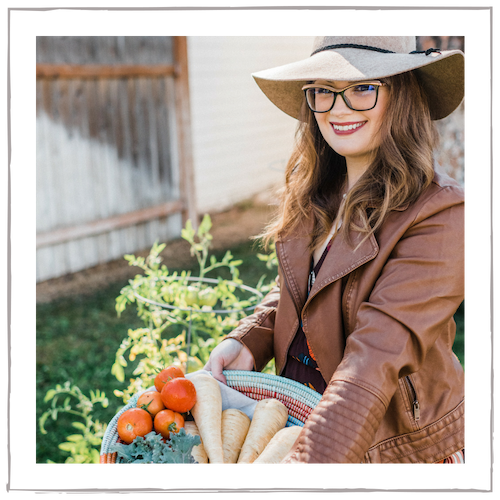 SKS has a huge variety of them—glass mason jars, jelly jars, candle jars, honey jars, frosted glass jars, amber glass jars, you name it! I also particularly love the gold metal and rustic bronze metal lids for holiday gifting. 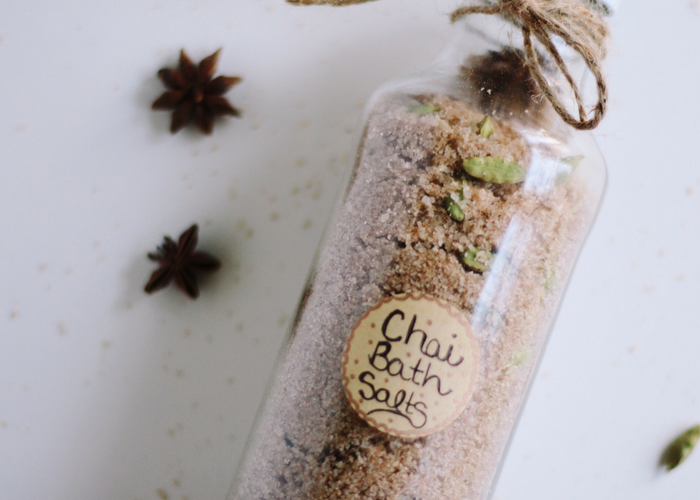 Spicy, fragrant Chai Bath Salts are relaxing, skin-soothing, and lovely for fall or holiday gifting. 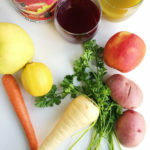 Mix all of the ingredients in a large bowl until thoroughly combined. Place in glass jars. 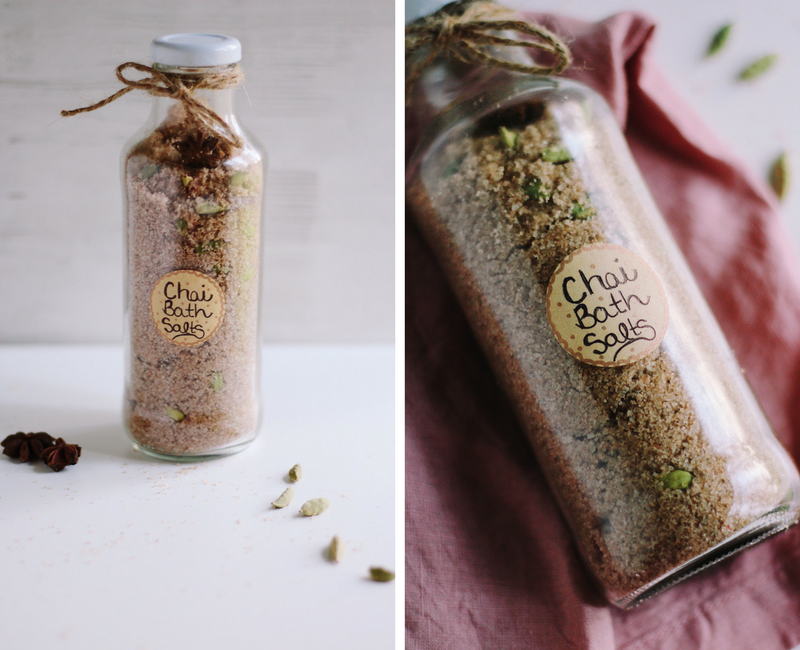 To use, mix 1/2 cup Chai Bath Salts into a warm bath. Enjoy! 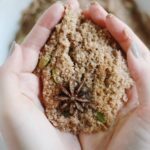 I hope that you can make and enjoy these Spiced Chai Bath Salts! Whether it’s for yourself, or to gift someone else. 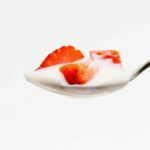 Have you ever made DIY bath products before? What’s your favorite? Let us know in the comments below. And be sure to check out SKS for your perfect storage and gifting bottles! This is such a great idea!! Love the way you packaged it too. 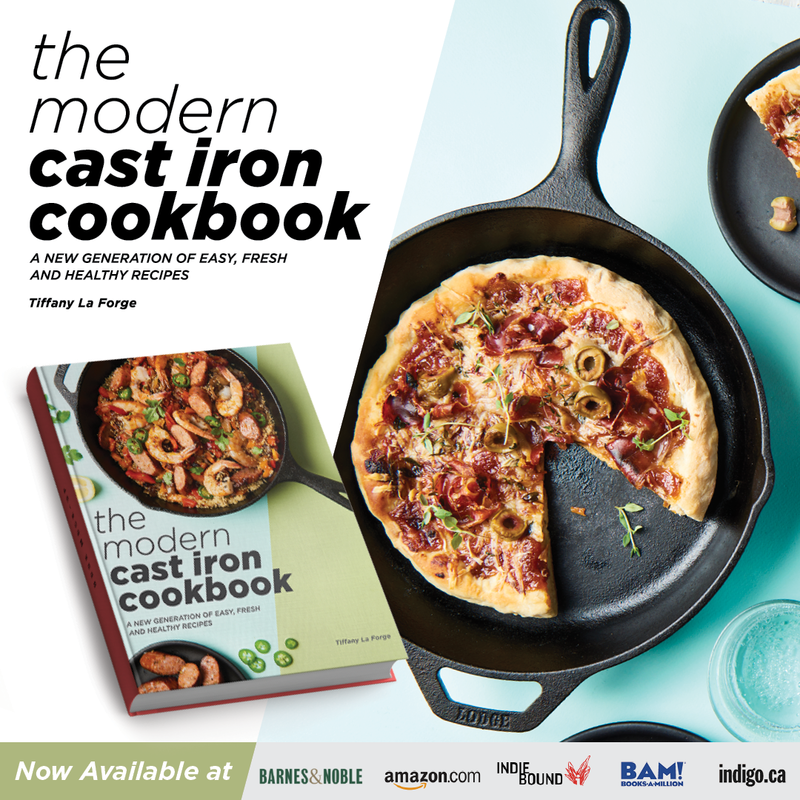 This would be such a fun Christmas gift idea!